The SAT Reasoning Test is used to measure a student's ability to handle a college learning curriculum. It is part of the admission criteria for most US colleges, and is the country's most accepted admissions test. Over two million students take the SAT every year. Taking the SAT can be a challenging and even scary experience for some students. But with preparation and some insight as to what to expect on test day, you can take the SAT with confidence, knowing you will achieve the best score possible. 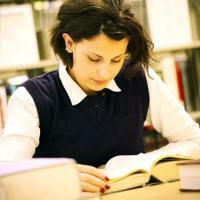 The SAT is divided into three main portions: writing, critical reading, and mathematics. Each area is further divided into three smaller sections. These nine sections last 20-25 minutes each and are arranged differently on different versions of the test. This means that while you may be working on a critical reading section, the student next to you may be working on a mathematics section. However, regardless of which version you receive, the SAT always begins with the essay, and always ends with a multiple-choice writing section. There is also a 10th section, lasting 25 minutes, which may contain questions from any one of the three main portions. This section is only used to ensure the fairness of the test itself, and does not affect your score -- however, you won't know which section it is, so all sections should be taken seriously. The entire test lasts around five hours, including breaks. This area of the SAT consists of a short essay section and two multiple-choice sections. The short essay will be on an assigned topic, and will measure your ability to organize and clearly express ideas, develop and support your main idea, and use appropriate word choice and sentence structure. There are three types of multiple choice question in the writing portion. One type focus on identifying sentence errors, where you will be given a sentence and asked to choose which answer best corrects the sentence's errors. Keep in mind that some sentences do not contain an error. The next type of question focuses on improving sentences, where you are given a sentence and asked which answer improves the sentence's wording. The last type focuses on improving paragraphs, where you are given a paragraph and are asked to choose the best revisions for specific areas of the paragraph. One type focuses on passage reading and comprehension, where you will read short and long passages, answering questions based on what you read. The other type focuses on sentence completion, where you will be given a sentence and must choose the answer that best completes it. The math area consists of 44 multiple-choice questions and 10 student-produced response questions, also called grid-in questions. Calculators are allowed, though all questions can be solved without one. Any available area can be used for scratch work.